September is better breakfast month. Everyone knws breakfast is the most important meal of the day. Breakfast kicks starts our metabolism and gives us energy for the day! When you do not eat breakfast, you lose your ability to focus in class and perform your best. Not eating a healthy breakfast can also prevent you from losing weight. You should be careful when eating sugary cereals. They can contain as much sugar or more than candy bars. NEVER SKIP MEALS. You should always eat five to six small meals a day. This will help you maintain a healthy weight. Below I have included a few recipies for quick, easy, healthy breakfasts that can be prepared before the school day or the night before! Combine all ingredients in blender and process until smooth. Divide smoothie between 2 glasses and serve. Mix all ingredients except sesame seeds in large bowl. 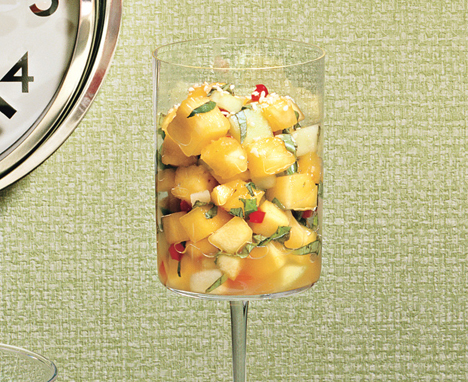 Let stand 10 minutes for flavors to blend. over fruit. Garnish with more chopped crystallized ginger and serve. Place mashed bananas in large bowl. Stir in soy milk, egg, oil, and lemon juice. minutes. Serve warm or at room temperature. 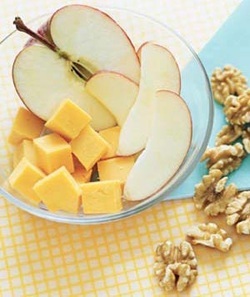 Grab an apple, wrap 1 to 2 ounces of Cheddar in plastic, and toss ¼ cup of fiber- and protein-rich walnuts into a resealable plastic bag. 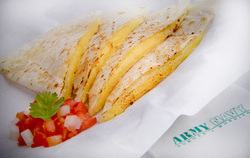 Quesadillas are ideal for hectic mornings, as you can cut them into pieces and eat on the move. Make the simple switch from regular tortillas to low-carb tortillas to triple your fiber intake. Substituting egg whites for whole eggs is a smiple way to control calories without sacrificing the size of your meal. Mix together in a bowl the egg whites and eggs. Coat non stick pan with non stick cooking spray and place over medium heat. After pan is heated (~1 minute) add egg mixture and scramble until eggs are cooked through. Next, mix in cilantro and salsa. Remove egg mixture from pan and place in a bowl. Place 1 tortilla on non-stick pan and sprinkle shredded cheese on one half. Place half of the egg/salsa mixture onto the same half of the tortilla. Fold the tortilla onto itself forming a quesadilla. Let heat for 1-2 minutes. With a spatula, flip quesadilla over and heat the other side. Remove quesadilla from pan and repeat quesadilla making process with the other tortilla and remaining egg mixture.